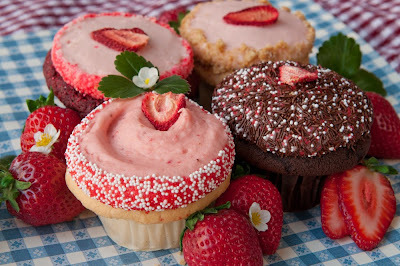 Legalize Frostitution - The official blog of Cupcake Royale: Strawberry Cupcake Festival starts July 1st! 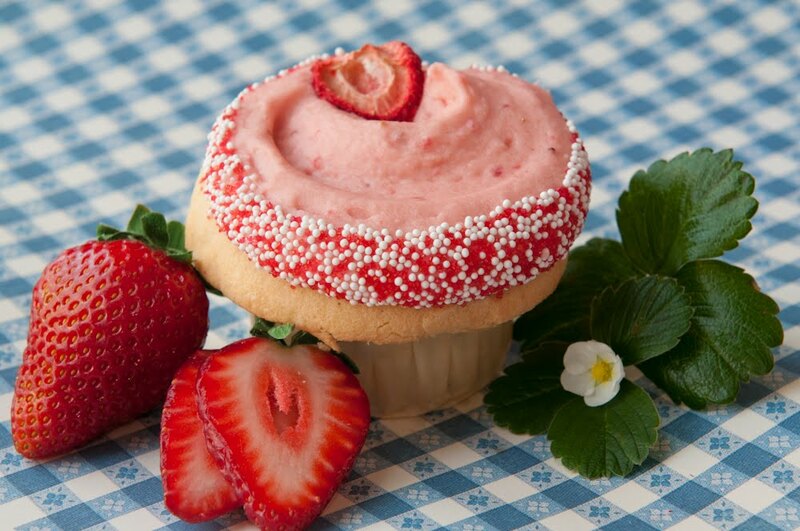 Strawberry Cupcake Festival starts July 1st! The 4th of July is just around the corner which means that summer can officially begin in Seattle. To celebrate, we're having a Strawberry Festival during the month of July! Our neighbors to the north, Skagit Sun, have supplied us with locally-sourced, organic strawberries that we incorporated into each of this month's four cupcake flavors. Our bakers have been busily consulting with grandmothers and country fair winners alike to come up with the most delicious flavor combinations and we think you'll love them as much as we do! Strawberry 66 is our classic vanilla buttercake topped with Strawberry buttercream. 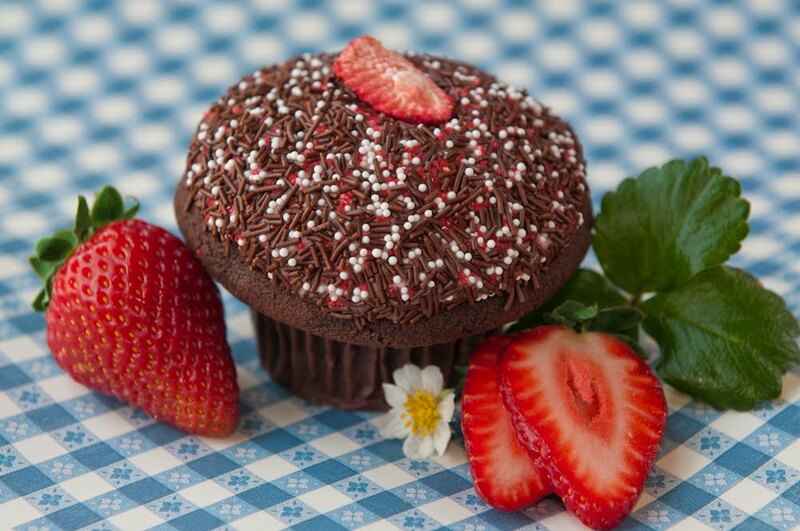 The ingredients for this delicious cupcake are over 66% local, which we think makes it the most local cupcake around. Frank Bruni would be proud. 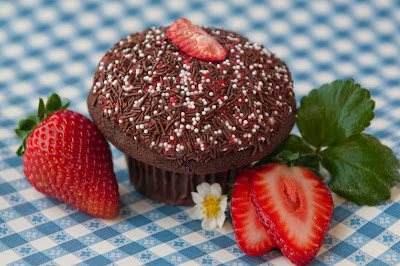 Chocolate Dipped Strawberry starts with our moist chocolate cake, then we add our strawberry buttercream and dip it into fine chocolate vermicelli. 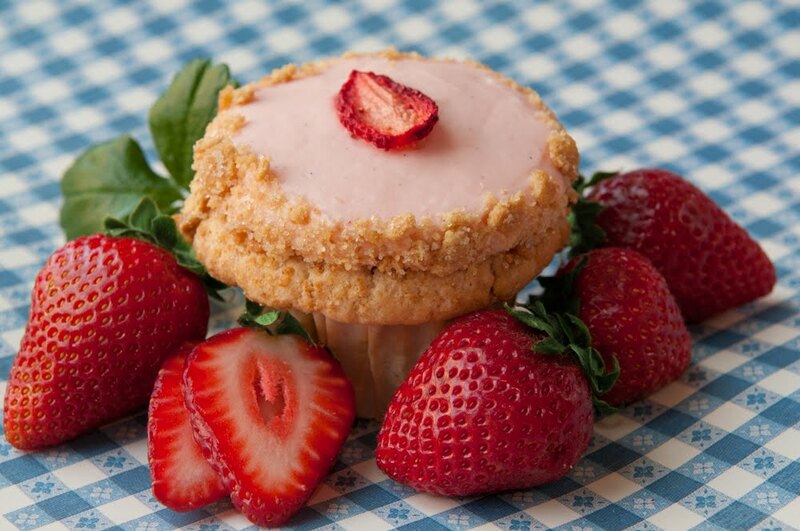 Strawberry Shortcake has a sweet strawberry puree baked into a vanilla cake with a whipped cream strawberry frosting and topped with graham cracker crumbs. Strawberry Velvet updates our classic red velvet cake with a whipped cream strawberry frosting. Nothing says summer like strawberries so pick some up for your next picnic or party! 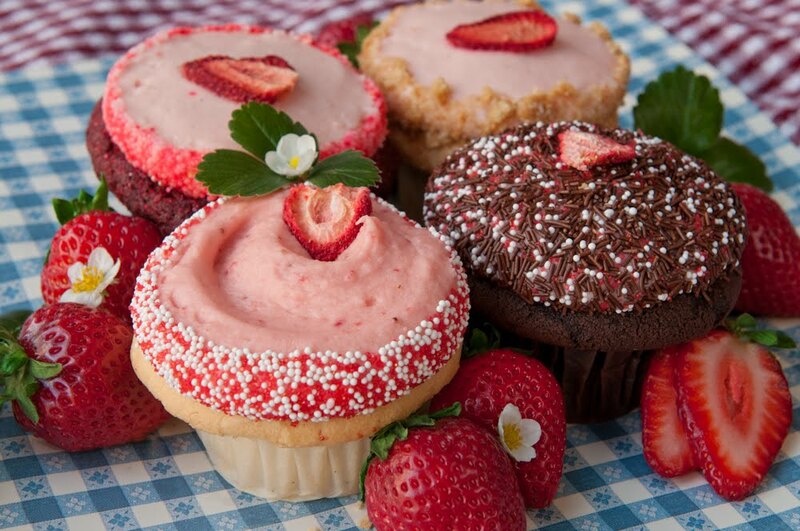 We make it easy to try them all with our Strawberry Festival 4-pak! $3.50 each or the 4-pak for $13.50. 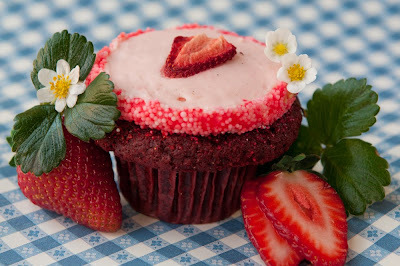 Call 206-883-7656 or visit www.cupcakeroyale.com to pre-order your Strawberry Festival four pack for pick-up tomorrow! Happy summer, y'all! Reading this super fantastic post from @CupcakeRoyale: Strawberry Cupcake Festival starts July 1st!TWEET THIS GOODNESS! I wish I was back in Seattle again! Sigh. . .